On a beautiful early summer morning, with camera in hand I enjoyed a stroll around one of the area’s most imposing parks, the unassuming sounding Barnet Playing Fields. Barnet Playing Fields dominates the Underhill area, with the stadium sitting snugly at its northern tip near the A1000. 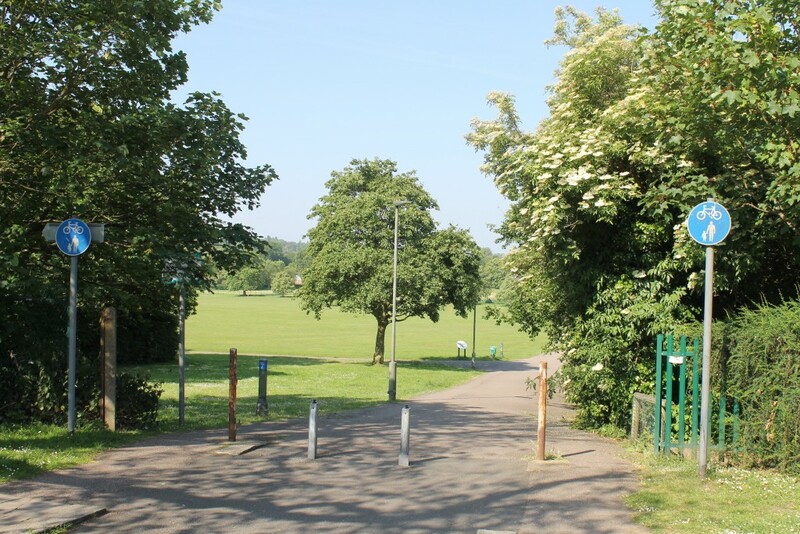 The playing fields have a triangular shape with the Dollis Brook as its southern boundary beyond which is another open space, King George V Playing Fields on the Totteridge side. This in turn adjoins another park, Wyatts Farm Open Space and the lush expanse of South Herts Golf Club. To west of the golf course is a farm which means from our home on the hill, we look across the valley to Totteridge, sometimes spotting cattle, with the Shard, the Gherkin, Telecom Tower and other tall London landmarks in the distance. You can really see how the Green Belt embraces Chipping Barnet, with countryside on three sides. Barnet Playing Fields is a large chunk of this green vista and its large scale is quite affecting. There is a children’s play area, an outdoor gym and various sports pitches. While I was there an energetic fitness class was going on led by Regiment Fitness. A cycle path links Grasvenor Avenue with Barnet Lane, another takes you along the Dollis Valley to Whetstone and you could do circular laps too. Numerous magnificent old trees give the space real character and a sense of permanence. 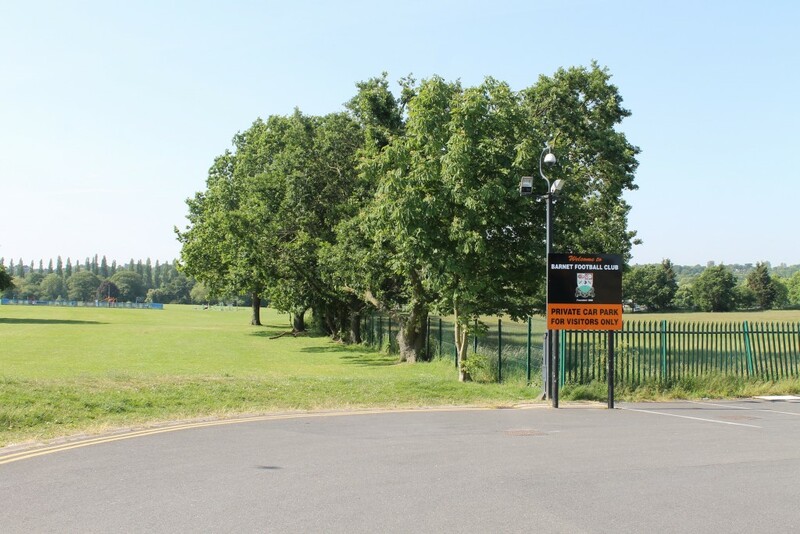 After a valiant local campaign to bring Barnet Football Club back to Barnet (from its new home in Canons Park, Harrow) it has now been confirmed that the Underhill Stadium has been sold to the Education Funding Agency. A large academy school is planned for the site admitting children from infants right through to sixth form. 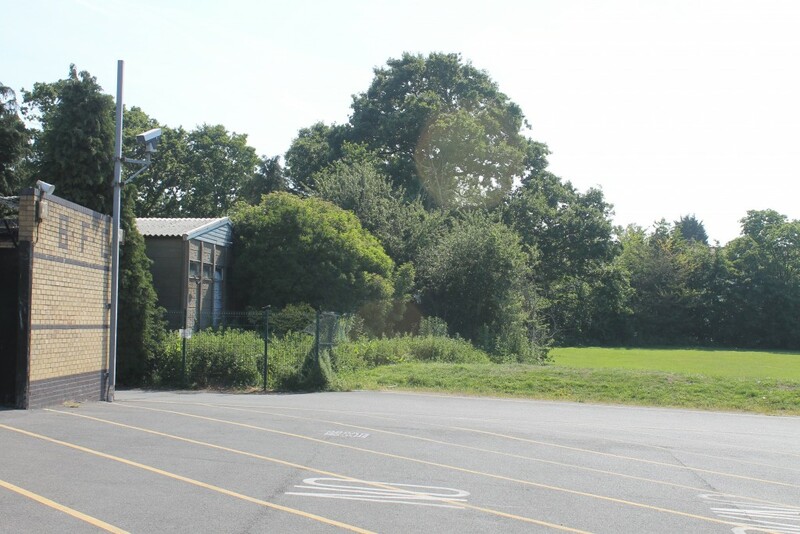 Plans haven’t yet been submitted, but, as you can see from the pictures and the boundary of the stadium site, a new development could have a damaging effect on the playing fields. So, quite literally, watch this space and please don’t take it for granted.